At Belladonna's Advancing Feminist Poetics and Activism conference in 2009, Cathy Park Hong posed the challenge of writing poetry that participates in a fresh imagining of the world as we want to live in it—a poetry that talks back and predicts a future, as opposed to the practice of merely reporting and representing the fragmented world we currently live in. In an interview with the Poetry Foundation, Hong states: "Speculative landscapes give us a binocular perception of the present moment—it's a strategy of indirection." I've always been a storyteller, keeping myself company as a lonely misfit child on the edge of normal (note: my marked race, marked gender, my marked blurryness which confused those who did not know how to "read" me). A non-fixed identity, I often grew silent and slid myself sideways into my own textured and fantastical world to elude notice and harassment. I grew up telling these stories to myself to keep myself still and (hopefully) protected. Cathy Park Hong's Dance Dance Revolution is a narrative in verse, which interweaves a history of collective trauma and an uncertain future. The narration is conducted by an exiled former South Korean dissident who speaks in an invented dialect composed of a mash-up of existing and extinct English accents and is a tour guide to an imagined resort city set in the future and through excerpts of a historian's memoir, duly labeled as such. It is not immediately easy to place the voices of both narrators. The tour guide was born in South Korea and slowly reveals that she was a dissident involved in the Kwangju Uprising in 1980. The other "narrator" reveals little linguistically, although slowly the "memoir" reveals that the comparatively bland voice has been constructed in international boarding school in London, Hong Kong, Connecticut, a military school, and even in ubiquitous airport lounges associated with much international travel. Even though these two voices are set up in opposition throughout the narrative, by the end of the "novel," the reader comes to see that these two voices and lives are linked in history and ominous future. The historian's father, a doctor who travels to regions which are at war, is a former lover of the tour guide. In the historian's last excerpt, which ends the book, the historian remembers a scene where the father has stayed home from a day off at work and studies a jam jar against the landscape. Through the father repeatedly tries to nap and dream of his former lover, he is continuously awakened by the "ghost limbs" of his patients' war-torn bodies and by "the occasional unrest." Eventually, even the grains of salt enlarge to a crowd that fills the frame of the jar. These two characters and their dialects are inflected by both empire and wartime histories which they cannot escape. What is helpful about the messy and the blurry? The incoherent and unformed? A sly way of understanding, a ghostly approach of a structure, a form. Another obsession: the zuihitsu, a kind of fungus poetics, according to practitioner Kimiko Hahn. An associative leap, a Japanese hybrid poetic essay form in which the writer follows the impulse of the brush in a seemingly random pattern, carefully constructed using poetic techniques of juxtaposition and fragmentation. A peculiar almost ghostly way of seeing. Of shaping one's own sensibility, of leaving evidence on the page of one's own specificity. A pairing of ghostly fragment with a cascade of specific lists and queries. A question which could be asked—who slips between each printed line? Whose bodies are breathing there? I slowly grew into the space which poetry allowed me—to sit with contradiction, crevice, and breath. How the lines themselves contained whole worlds hidden behind other lines. How these lines needed to be revisited and reread to unfold the multiplicity and complexity of the worlds within. Worlds which unfolded upon effort, not for the casual fan or observer. Worlds which required dedication, to slide myself sideways into a kind of understanding, to generate other kinds of possibilities, other than the one with which the reader sat in present time. In Do Metaphors Dream of Literal Sleep? A Science-Fictional Theory of Representation, Seo-Young Chu argues that the qualities which make a work of science fiction "science-fictional" tend to coincide with qualities which make a lyric poem "lyrical"; namely, that "lyric voices speak from beyond ordinary time." Poetry's compositional strategies, which incorporate silence, rupture, collage, and repetition, seem particularly apt to explore the making of worlds that traffic in non-ordinary time. 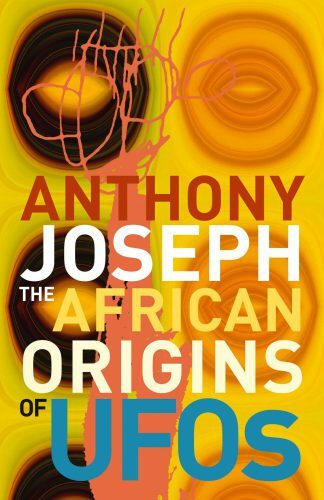 See, for instance, Anthony Joseph's The African Origins of UFOs, which alters time in a mix of poetic prose and poetry. In a poetics statement, Doug Kearney writes, "Forms and approaches with repetition-driven progressions bring these possibilities out for me. How much weight can the words I've amassed for repetition bear?" Now, in my adult life, I understand that speculative poetry allowed me to experience a queer, flexible time—one which held my body steady at a time the rest of me was elsewhere dreaming. 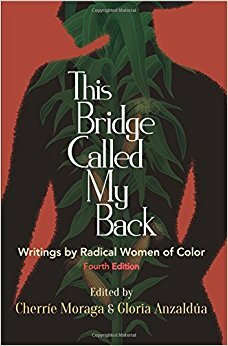 I am a genderqueer/fluid writer, but grew up reading and identifying with women-of-color literary projects such as Gloria Anzaldúa and Cherrie Moraga's groundbreaking anthology, This Bridge Called My Back: Writing By Radical Women of Color. My younger writer self saw myself coming from Borderlands consciousness, a place where one must remain flexible by accepting contradictions and ambiguities and many alternate ways of speaking. I situate myself within this history, even as I trace how Anzaldúa, though sympathetic to some women of color's possessiveness of This Bridge Called My Back and their view of it as a safe space and "home," asserted in the introduction to This Bridge We Call Home that "no bridge lasts forever." In this preface, she described the process of watching workers rebuild a historic bridge landmark and drew on that analogy for the new anthology—leaving intact some of the original foundation (i.e., old traditions) while integrating it with new materials for continuing to rewrite oppressive traditions and histories. Today, in a leadership training for progressive leaders, our facilitator said we don’t allow enough white space in our life—the necessary part of sitting with ourselves, allowing ourselves the space to grow forward so that we can dream up the kinds of progressive projects which will transform our communities. As a poet, I am obsessed with visual arrangement in my poems, precisely because the white space—what is not said—looms large in the reflection of what is said. All the ways that careless speech ejected into our public domains elicits a mirror reaction. What I try to avoid in meditation—sitting with myself, crooked joint, even while I sit with other breathing bodies also holding startled still. Yet I often hold myself there to sit with myself, slipping between my own shadows, my own breaths, my body present and my dreams elsewhere. When my own body creaks and complains, when I give into its urgent demands to bathroom, to tea, to breath of fresh air outside, I feel vaguely disappointed in my own ability to escape, my own failing to clear white space for myself. Returning to the strategy of indirection, of laying under the surface. Being in tune with our own bodies, of biding our time with breaths. Of holding ourselves flexible with space for each other to step into our own fresh imagining.